On Monday, November 7, 1955, in Corpus Christi, Texas, a precious baby girl was born to Eddie and Geneva Lee-Walker. As an honor to their beloved mothers, they gave her the name Arlena Ruth. On Tuesday, June 12, 2018, Arlena passed away early in the morning at her family home. She was only sixty-two years old. When Arlena was sixteen years old, she met the love of her life, Archie J. Amerson, Sr. They fast became friends and high school sweethearts. On Saturday, February 16, 1974, they were married. Together they shared forty-four years of marriage, not only as husband and wife, but as best friends. Arlena attended Samuel F.B. Morse High School from 1970-1973. After graduating, she went on to attend Mesa College. Arlena was a very hard worker. She had an excellent work ethic. She started her career as a research technician with the Scripps Research Institute in La Jolla. Retiring from there, she went on to work at UC San Diego Hospital in Hillcrest for a number of years. After retiring from there, she finally ended her work history at UCSD Thornton in La Jolla. She was an access representative in patient financial services. At the age of twenty-seven, Arlena decided that she should take life more seriously and wanted to get to know the God of the Bible and have a closer relationship with him. So, she started studying the Bible with Jehovah's Witnesses in November 1981. As she thought about the things that she was learning and came to appreciate them, she decided to dedicate her life to Jehovah God and serving Him. She was baptized in symbol of her dedication and love for Jehovah the following year on Saturday, October 16, 1982 in Escondido, CA. In fact, one of the last things that she texted to her sister before she passed away were the words: “Jehovah knows how I feel”. Yes. Jehovah certainly does know how she felt. Arlena enjoyed family outings, gatherings at the house, and barbecues. She loved dancing. She loved dancing so much so that when she was only five years old, instead of being in the house where she was supposed to be, Arlena would be outside entertaining the sailors with her dancing. They gave her the nickname “Little ChaCha”. Even after becoming an adult, she continued to entertain family and friends with her dancing. It was her one-legged butterfly that was known to get the party started. As she grew older and couldn't entertain like she used to, she enjoyed having “girl time” with her two beautiful granddaughters, Tejah and Genesis Amerson. When it came to sports, she loved sports, both as a kid and as an adult. When she was younger, she, along with her sisters and cousin, Sandra, Lemer, and Benita Amoscheered for Skyline's Pop Warner Football team called the “Tigers”. Audrey ("Mickey") Patterson was the first African-American woman to win an Olympic medal; ... In 1965, she founded Mickey's Missiles, a track club for girls six to eighteen. Arlena joined the track team Mickey's Missiles, and ran track for a time along with her sister and cousin, Sandra and Benita Amos. As a young adult, Arlena volunteered as a baseball coach. She became known as Skyline's favorite Pop Warner Cheer Mom/Coach, just as her aunt, Wilma Amos, had done many years before her when she herself was a cheerleader. As a loving mother and friend, she enjoyed playing sports with her sons and wrestling with her brother-in-law, Ray. She was such a supportive mother that she never missed any of her son's games. She really loved her boys and wanted them to know that. Although she may not be cheering them on from the sidelines of their games anymore, in their hearts and memories of her, she will forever be on their side, cheering them on. Arlena will be remembered for her beautiful smile and infectious laugh that would leave anyone that left her presence feeling a little better than before. More importantly, though, she will be remembered for the way she filled her role as wife and mother. Her devotion and faith in her God, Jehovah gave her the strength to love endlessly and be the rock of her family. She was the embodiment of a mother's love. A mother's love in unconditional, enduring, selfless, protective, and affectionate. She was all the above. The love she gave now lives on in the hearts of all those whose lives she touched. 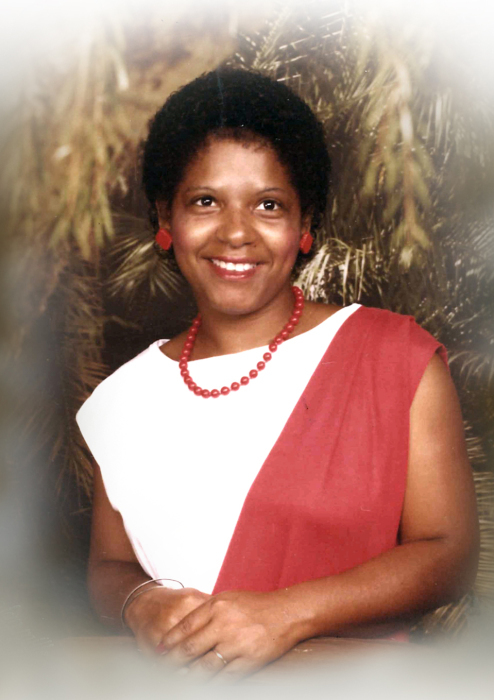 Arlena is survived by husband and best friend – Archie J. Amerson, Sr.; three beautiful boys: Archie J. Amerson, Jr., Adrian Dante, and Andrew Thelton Amerson; six grandchildren: Tejah, Adrian, Andre, and Genesis Amerson; and three sisters: Melta Brooks-Cannon, Sandra Carr, Lemer Walker-Boyes; and brother-in-law David Thelton Amerson. Arlena was predeceased by: her father and mother – Eddie and Geneva Lee-Walker, Jr.; grandparents – Eddie and Arlena Long-Walker, Sr. and Bloy Lee, Milton and Ruth Page-Taylor; brother – Eddie Walker, III; brother-in-law – Ray Anthony Amerson, Sr.; and father and mother-in-law – Thelton and Geneva Gibson-Amerson, Sr.